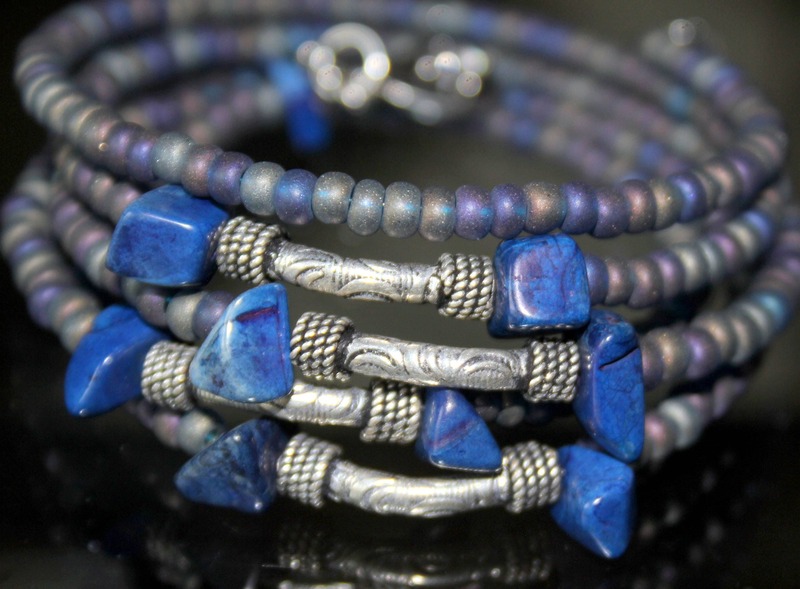 This cuff bracelet is made with deep blue chips of lapis lazuli and beautifully detailed Bali Silver tubes. It is made with 5 strands of memory wire, so there is no clasp. To wear it, simply start a coil on your wrist and keep wrapping. 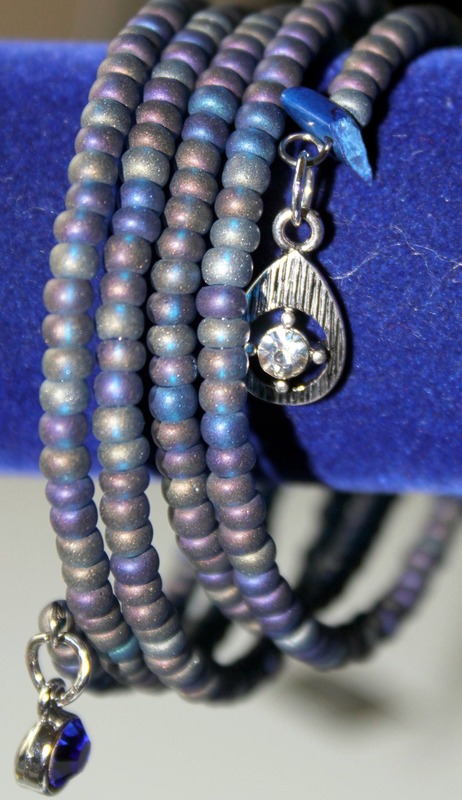 The strands are made with Czech glass seed beads that have an iridescent quality to them. 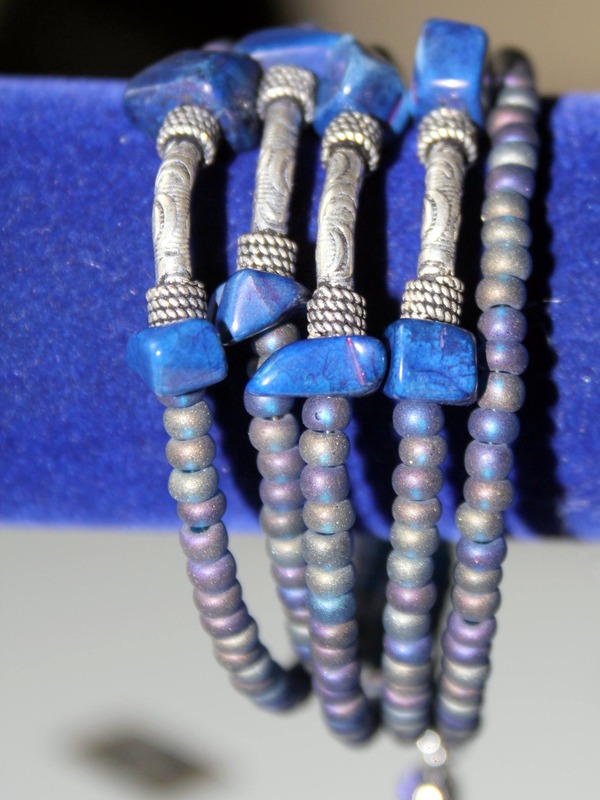 There are two silver dangles, one with a blue crystal and the other has a clear one. When worn, the cuff measures an inch and a half in width. It is light and will fit most average size wrists. It looks great with jeans or dressed up.